Is redevelopment of north mansion / Y block a job for outside experts? In the 40 years since the demolition of the original Abraham Lincoln Hotel, at 4th and Capitol, north of the governors Mansion, the vacant lot, which was formerly used for state employee parking, and old YWCA building behind it, have been largely forgotten until a recent extension of the boundaries of the Central Springfield National Register Historic District. 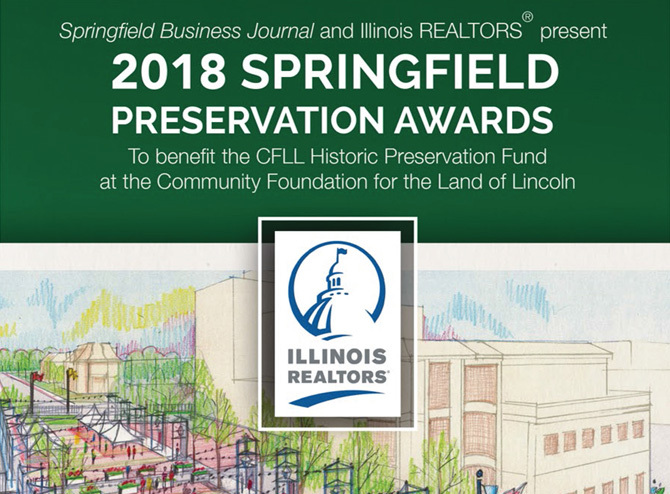 In part two of our series about the power of historic preservation as a planning tool (“Walk this way,” Springfield Business Journal, December 2015), the 1970s demolition of Springfield’s historic Abraham Lincoln hotel – a multi-story, classic, beaux arts revival building that stood at the corner of Fourth St. and Capitol Ave. – was discussed. Recently, Springfield’s administrative officials, elected leaders, committee appointees and the public have all weighed in on the direction for future redevelopment of that same, now vacant block sitting north of the Governor’s Mansion, along with the adjacent former YWCA building. Both properties are now owned by the city. Discussion over a measure that was tabled by the city council at its Dec. 8 meeting has brought to light differing philosophical perspectives. The larger question concerns how to build consensus about future planning in order to attract reinvestment in Springfield’s historic core. A proposal to hire Stantec, a national consulting firm, to guide the process for selecting a developer for the prominent vacant block at Fourth and Capitol is popular with those looking for an outsider’s perspective. However, there are aldermen and members of the city’s Economic Development Commission who have expressed doubts that advice from yet one more outside consultant will be the answer. It’s been more than 10 years since the city partnered with the American Institute of Architects’ Regional and Urban/Design Assistance Team of outside experts, allowing them to congregate in the capitol city to study the downtown area. Since then, there have been follow-up reports based on data from a residential housing needs study and a subsequent AIA report created by the Sustainable Design Action Team who visited the city in 2012. All have recommended mixed-use redevelopment with residential housing for the downtown area, including this block. So is it naive to think that yet one more group of outside experts will be able to create the desired domino effect, resulting in more viable development? In late 2014, a committee of citizens named by then-mayor Mike Houston began meeting to brainstorm and search for redevelopment strategies to address what has become known as the North Mansion/Y block property, bounded by Capitol, Fourth, Fifth and Jackson Sts., and its impact on downtown as a whole. The group, which included professionals from government, architecture, law, banking, business and real estate, discussed how to structure a process to attract reinvestment. After the group considered the effectiveness of various strategies, including a request for proposals, invitation to bidders or a public forum to attract potential development interest, the city issued the North Mansion Block Development Opportunity RFP in May 2015. The RFP briefly described the city’s vision and need for a developer who would plan, design and execute a project that could include both commercial and retail spaces along with urban housing and potential green space in a planned development on the site, directly across the street from the stately Governor’s Mansion. With the Central Area Tax Increment Financing District set to expire in December 2016, it was envisioned that a developer could be hired and monies allocated for the project this year, in order to take advantage of $1 million in TIF funds earmarked for the project. At the close of the RFP process in September, seven development companies, including two local firms, had responded. Their letters of interest varied in detail from one paragraph to several pages. Soon the city’s economic development office determined that none of the proposals was sufficient and that officials needed further assistance to shepherd the process of articulating the city’s requirements and to effectively manage hiring a developer for Springfield’s first substantial downtown redevelopment project of this kind. In October, current Mayor Jim Langfelder appointed a seven member Economic Development Commission, including citizens with expertise in real estate, building, development and finance. Their stated role included the review and recommendation of all TIF projects before a vote by the city council. The city then approached Stantec, a publicly-traded technical planning and design firm headquartered in Alberta, Canada to submit a proposal to assist with attracting developers who might be qualified and interested in the North Mansion/ Y Block redevelopment project. In a November 2015 letter to the city’s economic development director, Stantec proposed to conduct a three phase planning and developer selection process, to be paid for with funding from the Central Area TIF. The EDC first reviewed the proposal from Stantec at their Dec. 8 meeting, at which time they were notified that the city council would be voting that night on whether to allocate $125,000 in TIF funding to pay for the consulting contract. At that evening’s council meeting, members of the EDC, along with Aldermen Herman Senor and Cory Jobe, questioned the solicitation and whether the city had followed the proper procedure by not seeking approval of the EDC before submitting it to the full council. In addition, Jobe said he did not support the Stantec contract. “We already have several studies and received letters of interest from seven qualified developers. We just don’t need it.” The council ultimately tabled the motion. The next day, the mayor scheduled a special meeting of the EDC for the following Monday morning. At a subsequent presentation by Stantec to the EDC on Dec. 14, members expressed several concerns about the developer selection process, direction and financial viability of this project, and questioned how to predict short and long term outcomes. During the EDC meeting, Langfelder told the group that Mark Mahoney, director of the public works department, has advised that the YWCA building is not structurally viable. However, Mike Jackson, a local architect who is also an instructor at the University of Illinois’ graduate school of architecture, toured the building with architecture students two years ago, and determined the structure was not beyond repair then. At that time, the students prepared a material conservation report that was submitted to Paul O’Shea, who was then acting as the city’s architect, according to Jackson. In addition, Karen Conn, an EDC member with significant expertise in adaptive reuse of historic buildings, explained that she and her husband had offered to help the city to secure the building to prevent further damage two years ago, but no one was interested. 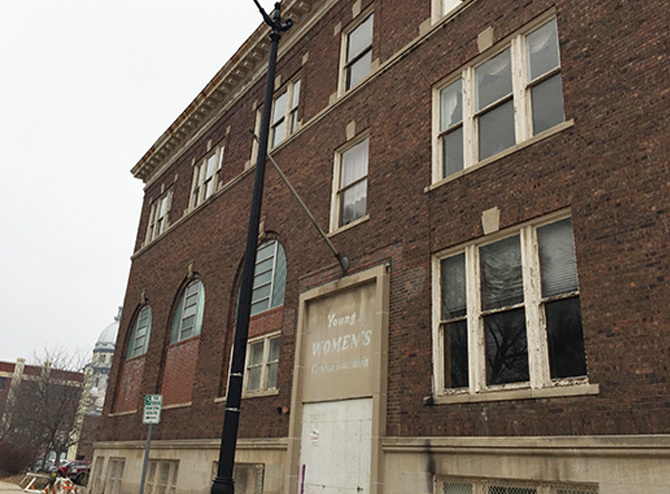 The current administration seems to believe that the YWCA building will need to be demolished as part of any future redevelopment at the site. In addition to disagreement about the viability of rehabilitating the YWCA building, there is also not consensus about how to best solicit proposals from developers. Commission member Brad Schaive stated that the city’s Office of Planning and Economic Development has staff salary costs of more than $600,000 per year, suggesting they should be tapped to handle this pre-development process. Other members pointed out that fees for guidance like that proposed by Stantec are common in municipalities without city planners or for similar projects previously carried out in other areas of the city, such as Enos Park or MacArthur Boulevard. Schaive also expressed concerns about the requirement that Stantec might impose necessitating developers to disclose their financial information as part of the screening process. In his estimation, there are local developers who might have the ability to carry out the project, but who would not want to share financial information with Stantec. In response to questions about the need for a third party to conduct the developer selection process, the mayor has said that the current economic development staff do not have the expertise or time to properly carry out these tasks. 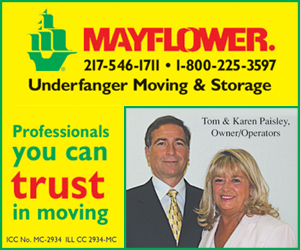 “That would mean adding a full time position, which is something we would consider in the future,” Langfelder said. As for Stantec’s fees, Langfelder explained that the company’s original proposal was for nearly $300,000 to guide the RFP planning and selection process, but he was able to reduce that by making them aware of four studies that had already been completed analyzing the demography, housing needs and financial viability of downtown, including this site. OPED director Karen Davis, who worked with Stantec on projects in St. Louis in her former job, has stated that the actual price tag for completion of a development on the North Mansion block site could total $30 million or more. She suggested that because Stantec is such large company with global experience it has a vast pool of resources from which to draw in areas such as pre-screening and verification of developers’ financial viability and aptitude to handle a variety of public or private funding scenarios, including grants or federal tax credits. Lisa Clemmons Stott, who recently left a position with OPED to become director of Downtown Springfield, Inc. also served on the North Mansion/Y block steering committee. Her perspective is that a powerhouse professional entity like Stantec may be what is needed to integrate this project into the larger vision of community revitalization. “We need to keep local people involved but can use an outside perspective to keep the dream alive and move forward with the amazing potential that came with the creation of the ALPLM,“ Stott said. With the city’s proposal to hire Stantec tabled for the time being, philosophical differences remain among those who think the North Mansion/Y block project will be key to further revitalization of Springfield’s many vacant downtown offices and retail space. Does it call for professional expertise to help attract a sophisticated, enlightened developer who might offer a silver bullet, or is it more important to give local developers, designers and planning professionals, with interest in adaptive reuse and knowledge of our town, a chance to build a shared vision incrementally? Catherine O’Connor M.A. 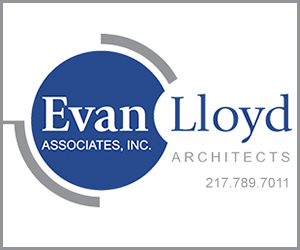 Public History is the former Manager, Local Government Services Division, Illinois Historic Preservation Agency. She can be reached at catherineoconnor@gmail.com.